Kownacki does not possess what it will take to overthrow Anthony Joshua...yet. 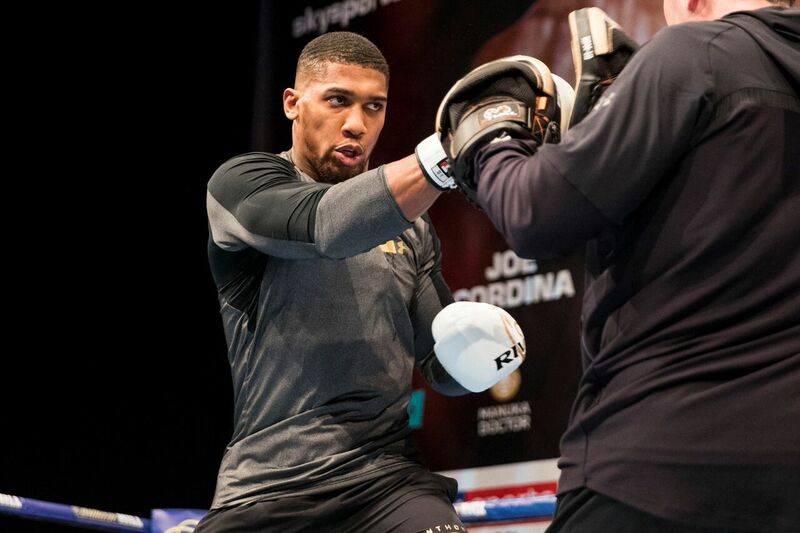 Unified heavyweight champion Anthony Joshua 21-0 (20) has revealed his plan for WBC heavyweight titleholder Deontay Wilder 40-0 (39) saying he is going to “f@#$ him up” if the highly anticipated mega-fight between the two can be made. The normally reserved Englishman lashed out at his American counterpart during a dinner talk in Cardiff, according to the Sun. “This is the situation I’m thinking,” Joshua said. “So with this Las Vegas talk, I owe it to everyone in Great Britain that has been supporting me to do my best to get this fight in the UK. In my opinion, that’s number one. “He (Wilder) has kind of said, ‘alright, cool, come fight me in America’. But the thing is with that, I owe it to the fans and everyone supporting me to do it here. “And number two, if I go there, there’s a lot of tricks that they play in terms of referees and judges and that’s why I want to be at home where I’m secure. “Luckily, we’ve got enough time to make the fight happen and we’re working on it. We’ve just sent another draft email over to them. It’s just the technical jargon that we’re going through right now. “I ain’t got nothing to lose and I’m (going to) rain down hell on him – I’m going to f@#$ him up bad. “You’ve seen it, I can go to hell and back. I enjoy it there as well, this time I’m going to own it. “We’re big hitters, so for sure I’m going to be throwing a lot of combination punches and it’ll be interesting. I think he’ll be trying to pick punches. In his last fight in March the 28-year-old WBA, WBO and IBF champion was extended the distance for the first time in his pro career by New Zealand’s Joseph Parker at Principality Stadium in Cardiff, Wales. Wilder fought a few weeks before Joshua, knocking out talented Cuban Luis Ortiz in 10 at Barclays Center in Brooklyn, New York.